The wave of dating sites and marriage agency services online have taken over the world. These dating services have provided men and women convenience in connecting with one another despite being in different locations throughout the globe. Many men and women seeking love or marriage chase after these marriage agency sites. Since there has been great demand for these dating and marriage agency services, thousands of companies have been established to cater said services. Some of the well-known companies used to find a wife in Cebu are Craigslist and Cebu Women. These two companies offer the same services related to dating and marriage; however, they are not the same. The difference lies in a couple of factors that have to be considered by the clients. This is where the comparison between Craigslist women seeking men vs. Cebu women come in. One of the most famous American and international classified ads site is Craigslist. With this site, users may avail of different types of services including a personals section where men and women seeking love, relationships, or even marriage may meet. Many have tested and availed the dating services found in Craigslist. There have been both good and bad feedback for this site. Most of the concerns, however, revolve around security and assurance. Personals are handled by account owners themselves. For Craigslist sites, profiles and personals of women and men are managed by the owners of the account themselves. There is no host company that handles the personals section; hence, there is no quality check that can be conducted. With this issue, scammers have become a problem for Craigslist users. People who have been victimized by these internet scammers have a difficult time suing those responsible for the scam on Craigslist. Since the site is not secured and so, it becomes hard to trace each profile. That said, it is very unlikely for anyone to be held accountable if anything goes wrong. Personals posted on craigslist provide no security for users. Profiles have not been thoroughly checked nor are they verified. The personals and profiles which can be found on Craigslist are not verified. With this, authenticity cannot be determined. This is problematic since we are dealing with the internet. Common knowledge dictates that the internet is not a safe place as there can be lurkers who may use photos and create fake profiles in order to achieve personal goals. This is the reason why verification as to the profiles on Craigslist is an important factor to consider. Unfortunately, it is very difficult to verify whether or not the personals are actually handles by those in the photos. Fake identities will always be a problem in this aspect. Security is not guaranteed during meetups. Meeting up with someone you met online will always be risky especially when they come from websites such as Craigslist. As a matter of fact, there have been cases where people met up with users who turned out to be scammers, kidnappers, or worse, killers. Some of these cases have even reached the local and national headlines. The chance of falling into an online trap is quite high due to the fact that Craigslist is not that secured as a website. Anyone can make several fake accounts without being verified. Meetups are not monitored and because of that, it may be dangerous. Cebu Women is part of one of the most respected foreign singles introduction and tour services worldwide. This company was founded back in 1995 and has been considered as one of the very first international online marriage agencies in the industry. 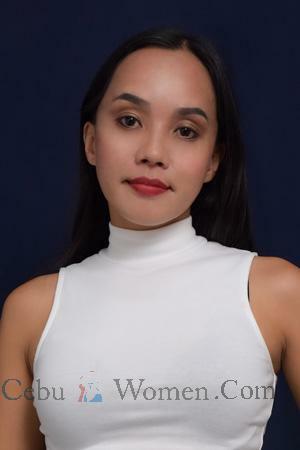 This site mainly focuses on gorgeous single Cebu women who are in search for serious relationships and are open to the idea of settling down and tying the knot. Moreover, Cebu Women is managed by professionals who represent the company as well as the women featured in the personals. These staff are hands-on in helping men and women all over the world connect with each other. Profiles and personals are posted by an agency. Cebu Women is a company that offers marriage agency services. The presence of a host company or agency helps potential clients in their endeavors for love by providing a sense of security through the presence of a company name. Furthermore, important details about the company are provided in the website. Potential clients are safe when they avail the offers of this marriage agency since all these personals are handled by a credible company that has been in the industry for more than twenty years. Hence, there is a sense of accountability coming from the company itself which the clients need. All profiles and personals are verified by the company staff. In this company, staff have been tasked to verify all the profiles of Cebu women. This guarantees that all photos and videos used in the website are authentic and consented. The women in the pictures are exactly the ones whom clients will meet if they decide to do so. There is no scams and fake identities in this marriage agency site. In this site, clients do not face security problems since only those who register with the company have full access as to its services.This is a better alternative compared to unsecured sites used for dating services which are easily manipulated by anyone on the internet. Meetups are secured and monitored by the agency. The company offers singles group and individual tour services for men who wish to meet single Cebu women ladies in person. Here, the meetup is monitored and safety is guaranteed. Cebu Women offers tour packages that include accommodation arrangements and social events where men and women meet and get to know each other more. Here, safety and security is guaranteed when the clients decide to meet with the women and vice versa. Moreover, everything is organized by the staff so that the clients would have a hassle-free experience. Clients will no longer have to think about security issues when meeting up considering that everything is secured and assurance is present with regards to the women whom they will meet. When it comes to Craigslist women seeking men vs. Cebu women, it is safe to say that Cebu Women is a marriage agency site focused on helping men meet women from Cebu. Thus, the services offered are secured. On the other hand, Craigslist is a site handling several services online; this is why their security is more relaxed which might be a bit too risky for women seeking men and vice versa.